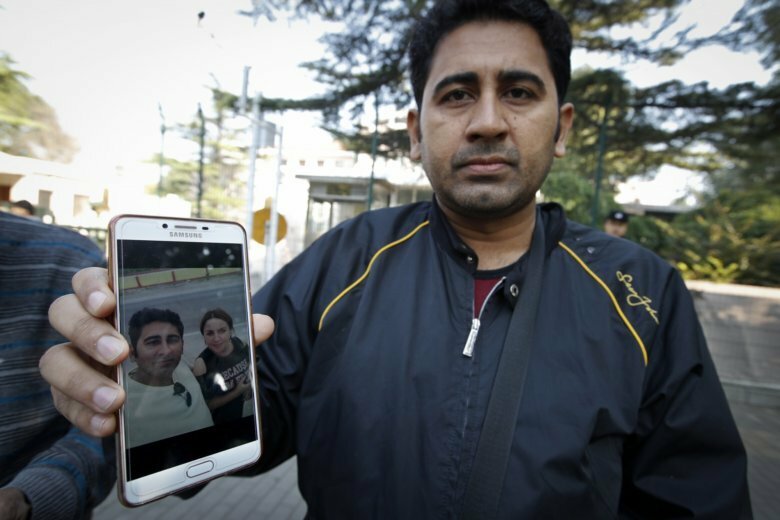 BEIJING (AP) — Two Pakistani men went to their embassy in Beijing on Wednesday to lobby for help in reuniting with their wives, who they say are ethnic Uighurs blocked from leaving China, in an example of how a sweeping crackdown has spilled across China’s borders. “I am very, very unhappy,” said Mirza Imran Baig, a Pakistani cosmetics trader. His Chinese Uighur wife, Malika Mamiti, was sent to a political indoctrination camp after returning to China’s far west Xinjiang region in May 2017, Baig said. Xinjiang’s security drive has swept up and separated families and also created friction with neighboring Kazakhstan over the internment of ethnic Kazakh Chinese nationals and even Kazakh citizens. China’s foreign ministry said Tuesday that it was not aware of the situation involving the Pakistani husbands, and reiterated its stance that China’s policies are aimed at creating “stability and lasting peace” in Xinjiang. He has visited the Pakistani Embassy in Beijing and met with the ambassador, Masood Khalid, several times. Still, he said he believes Pakistan is “not interested” in helping him.